Fix your Google Chrome if Google Search Engine doesn't work and shows error message of refused to connect, proxy and firewall checking. If you are facing issues with Google Search Engine in your Chrome browser for PC or Android then today I have come up with a couple of tips to make your Google search work in your Chrome Browser. All other search engines work, all websites will open but only Google.com and its related web pages will not load. You will also notice a message “check the proxy and the firewall” & “err_connection_timed_out”. Let us start with the methods to fix the problem on your Chrome for Computer. Though it is a temporary fix but you can surely give it a try. You simply need to delete your search history and browsing history. Right tick all the boxes and simply Clear browsing data. Now after that, you need to perform some advanced data clearing. Scroll down click on Show advanced settings. Under “Privacy”, click on Clear browsing data. You need to reset your Firewall to default, this actually may be a permanent fix as some of the inbound or outbound rules of the firefox may block the search engine to load in your browser. Go to Control Panel on your PC. Open the option Windows Firewall. Here you will see an option of Restore defaults. Open it and click on Restore defaults. Conclusion: I hope the post was helpful do comment below for any suggestions or queries. Thanks! have a nice day. 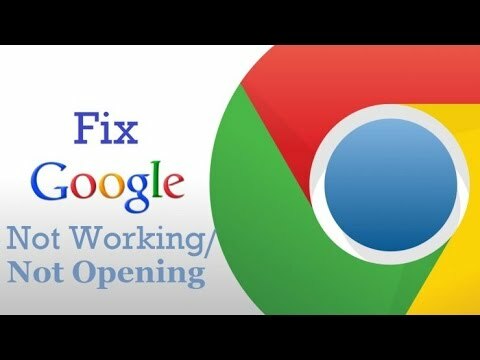 If you've any thoughts on Fix- Google Search Not Working in Google Chrome, then feel free to drop in below comment box.